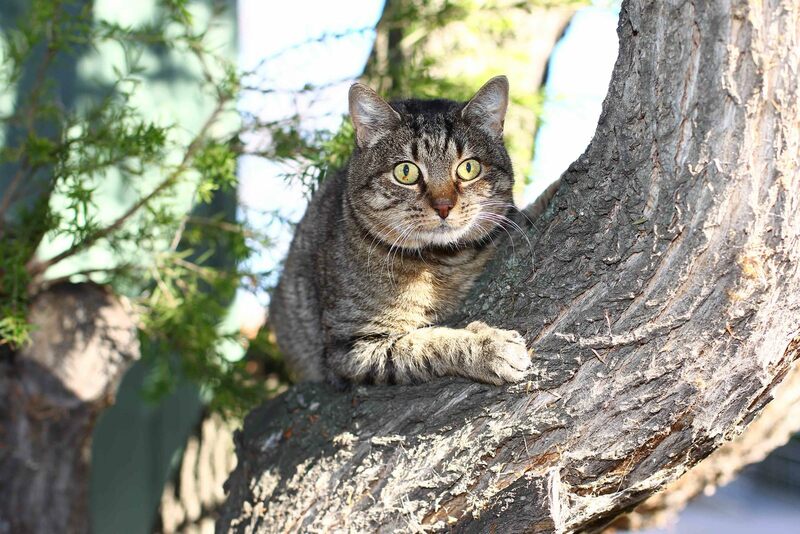 From her graceful poise through to her affectionate nature, eight year-old tabby Tiger is every inch a lady. However, like so many adult cats in our care, when she first came through our doors this lovely tabby was in need of some TLC before she could search for her new home. Suffering from a severe collar wound when she arrived, it was clear to shelter Veterinarian Heidi that Tiger would need to undergo surgery to treat her injury. 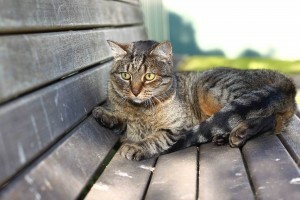 “Collar wounds are common in cats. They occur when their collar is loose enough for one of the front legs to pass through it, causing the collar to end up in the cat’s armpit. Over time the constant rubbing of the collar on the underarm area when the cat walks causes a wound to form. “For cat owners it is important for them to have their cat wear a collar that has a clip or elastic to minimise the chance of this type of wound occurring,” said Heidi. In Tiger’s case, the collar had made its way through her skin, resulting in a very deep and painful wound that required surgery at our shelter hospital. “Undergoing surgery for a collar wound can be an intensive process. For Tiger, her surgery involved removing the dead tissue around the wound before closing it to ensure it would heal properly. Following her surgery, Tiger is now is waiting patiently for the fateful day where she will find a loving family to call her own. A popular resident, her loving and affectionate nature has won over everyone who has come into contact with her, including Cat Shelter Manager Amanda. “Tiger is a beautiful, affectionate girl who thrives on human company and being the centre of attention. “Even when she was injured and afterwards during her recovery, Tiger still loved to get smooches and pats from anyone who would come and visit her. “We would love to see Tiger find her perfect home. Ideally she will find a home with older children or adults where she can be fawned over by her new owners and be the main feline in their lives,” said Amanda. Although her affectionate nature has won over everyone at the Home, Tiger has been patiently waiting for her new home for 102 days. If you think you might be a perfect match for any one of these fantastic felines available for adoption, visit our North Melbourne Shelter at 2 Gracie Street, North Melbourne and meet them in the fur.